i have moved on from the square, circle, triangle combination and have begun to concentrate on just cubes. 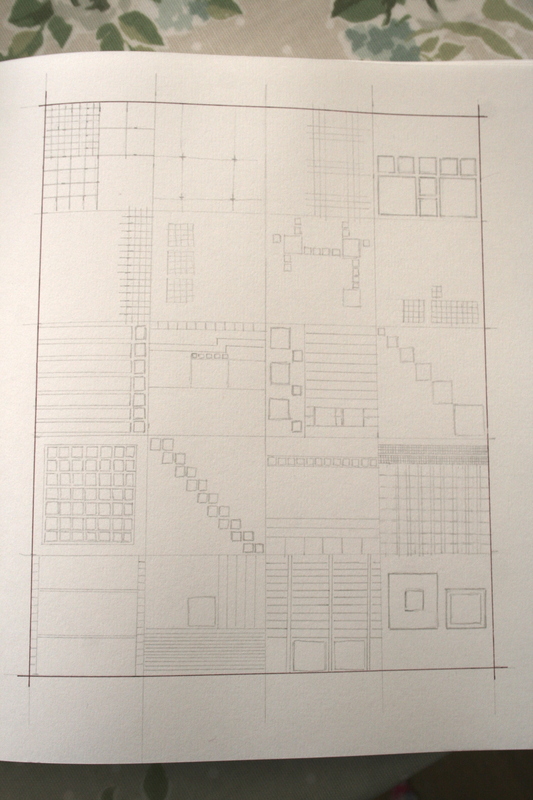 Taking the idea of a hand built ceramic cube, approximately 20cm sq, which would signify the “space” and then could be either filled haphazardly or neatly laid out like a room, with dolls house furniture, either that or full of specific items that are neatly layered until the cube is full, this would require viewing points in the sides of the cube but these could be either simple squares or windows. the whole idea is based around “creative block” as a play on words, being stuck for ideas, but also being literally a block of a creative space. and then leading from this i have decided to look at cubes made of all different materials, not as an end product, but just to play with texture, light, weight to see where it goes from there. spent the day in the print room cutting mount board in different cube patterns to do some blind embossing, went quite well until i rushed it at the end, by which point my paper had soaked for too long, so it stuck to the board, and on two of them i completely misaligned the paper, so have redone it a couple of days later. i’ll come up with some more designs, just as a drawing exercise, but may try to translate them on to the materials listed above to see which works best.